The Moon is my only luxury is the inaugural presentation of the newly opened Long Gallery Harlem, featuring a solo exhibition of paintings by Elizabeth Colomba. 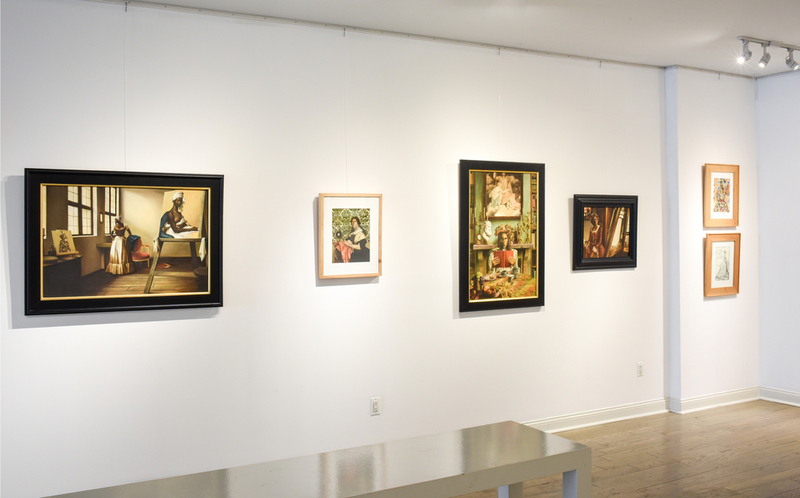 The focus of the exhibition is a survey of her portraits of women comprised of approximately twenty-two oil paintings, watercolors, and drawings from 1997 to the present. 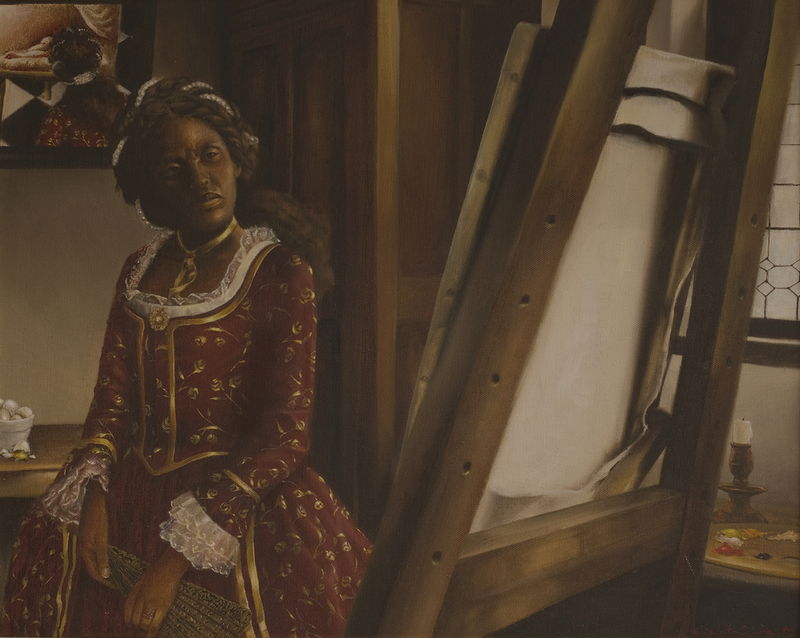 Colomba draws upon American history, mythology, religious symbols, and the feminine sacred to create an aesthetic vocabulary that distinguishes her work within the canon of black mastery and history painting. Characteristically in contemplative solitude, her subjects (both fictional and historical figures) are placed within sumptuous environments, metaphors for their own interiority and rich narratives. Colomba creates a space for her protagonists to inhabit the re-writing of their history. Through portraiture, she explores the way history is constructed and the interconnectedness between the past and present. The exhibition is accompanied by a catalogue featuring works from the exhibition as well as a selection from her larger oeuvre. The text includes an essay by Anna Arabindan-Kesson, assistant professor of African American and Black Diasporic art with a joint appointment in the Department of African American Studies at Princeton University; and an interview with Colomba by Kalia Brooks, a New York–based independent curator and adjunct professor in the department of Photography and Imaging at New York University’s Tisch School of the Arts. There will be an artist's talk at the gallery on Tuesday, June 7, 2016. The Moon is my only luxury is organized by Monique Long. A press preview will take place on Tuesday, May 3, 2016, at 10 am or by appointment. The exhibition will be on view at Long Gallery Harlem from May 3 through June 26, 2016. 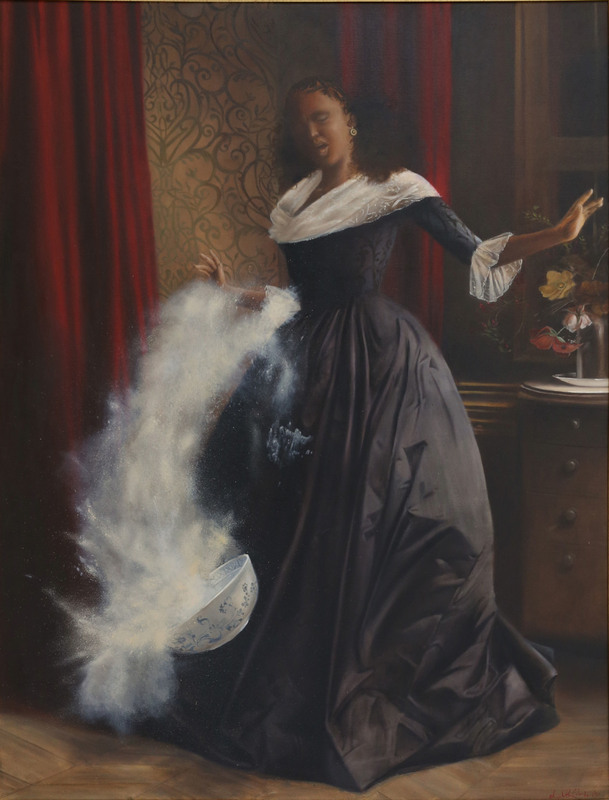 Elizabeth Colomba is from France, of Martinican descent, and lives and works in New York City. Born and raised in Épinay-sur-Seine, she received a degree in applied art from the Estienne School of Art, and also studied at École nationale supérieure des Beaux-Arts, Paris. 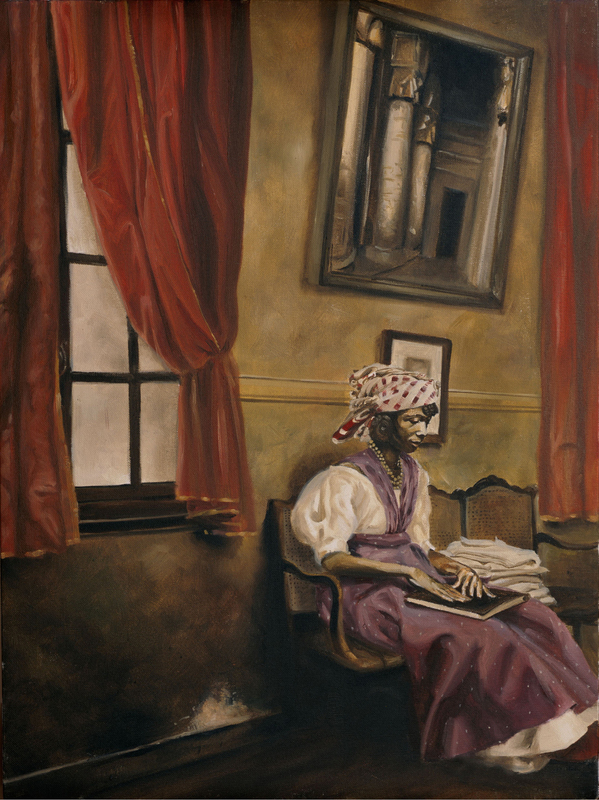 Her work has been exhibited at the California African American Museum; the Balthus Grand Chalet, Switzerland; the International Biennial of Contemporary Art in Martinique (BIAC),Volta, New York, and Fondazione Biagiotti Progetto Arte, Florence.